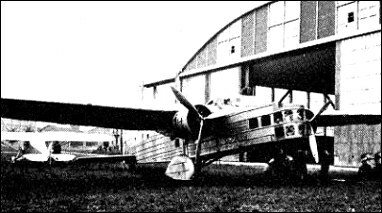 When, in 1932, the French air ministry circulated its specification for a five-seat night bomber, there were eight proposals from five companies. Both Bloch and Farman were successful on this occasion, although the resulting production aircraft were completed in differing bomber categories. The MB.200 was finalised as a four-seat bomber, with a cantilever high-wing monoplane of all-metal construction, and non-retractable tail-wheel type landing gear. The prototype Bloch M.B.200.01 had two 567kW Gnome-Rhone 14Krsd radial engines, and was first flown in July 1933. Subsequent flight testing resulted in an initial order for 25 aircraft, placed on 1 January 1934, despite the maximum speed of the prototype 18 per cent below estimate. When the production M.B.200 began to enter service towards the end of the year, it was found to be both reliable and viceless, and though production aircraft had more powerful Gnome-Rhone engines, still slow. 208 were eventually supplied to the Armee de I'Air, built by Bloch (4), Breguet (19), Hanriot (45), Loire (19), Potez (111) and SNCASO(10). 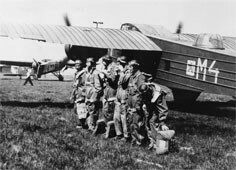 At the beginning of World War II seven front-line bomber groupes were still equipped with these obsolete aircraft, but at the time of the German offensive all had been relegated to a training role. The type had also been built under licence in Czechoslovakia by Aero and Avia, and these were seized by the Germans, serving as crew trainers and for general duties, as were those which had been captured in France. Many were passed on to German satellites. Aero built 44 Bloch 200 heavy bombers as the MB.200, and Avia licence built 70 machines powered by two 700 Walter K-14 engines. 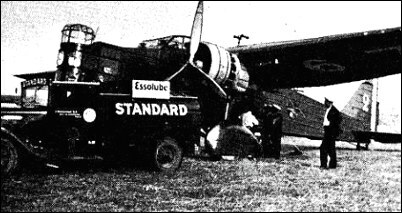 Because all three Aeroplane Works within a range of German bombers were, a new plant was built at the village of Kunovice in South Moravia. There were 70 production MB-200s built there.